What I understood of that, in relation to what God was teaching me, is that the Lord wanted me to write down some of what he was teaching me through my times spent with Him in His Word, and in prayer, and to place it on the internet (the runner), so that a herald (the internet) could “run with it.” So, that is what I began to do. Then, in June of 2006 the Lord spoke to me, and he told me that he wanted me to write out my devotions from my time with him in his Word each day, and to place those on the internet, so I began to do that, and I have continued to do that nearly daily these past twelve years. Then, in April of 2011 he began to give me songs to write, although I had not previously written songs, though I had put a tune to one of my poems many years ago. Now he was putting tunes in my head, and he was giving me words to go with those tunes, so I began to write them down, and then eventually to record them and to post those on the internet, as well. So, this is a compilation of the songs the Lord gave me to write. The songs are about God – Father, Son and Holy Spirit; about Jesus Christ and his gospel of salvation, and are songs of praise and adoration to him, my Savior, Lord and King. They are songs of encouragement and hope; of exhortation and edification; of prayer and devotion; of revival and renewal; and concerning what it means to be his servants and his witnesses. 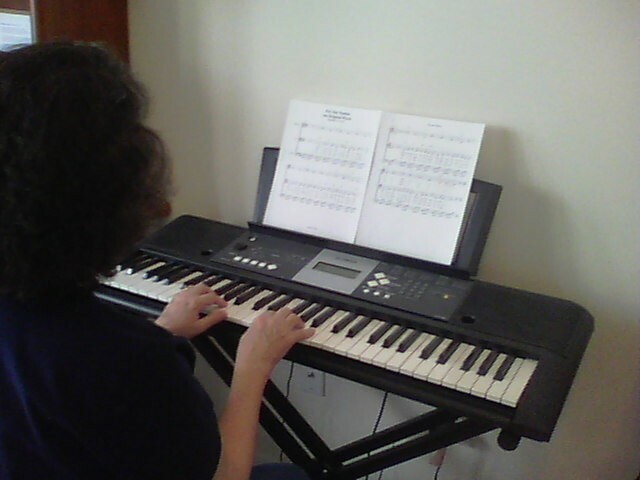 “Speaking to one another with psalms, hymns, and songs from the Spirit. Sing and make music from your heart to the Lord, always giving thanks to God the Father for everything, in the name of our Lord Jesus Christ” (Eph. 5:19-20 NIV). But, then in 2018, when I did not have a place where I could write songs, until just recently, the Lord gave me a number of poems to write, too. 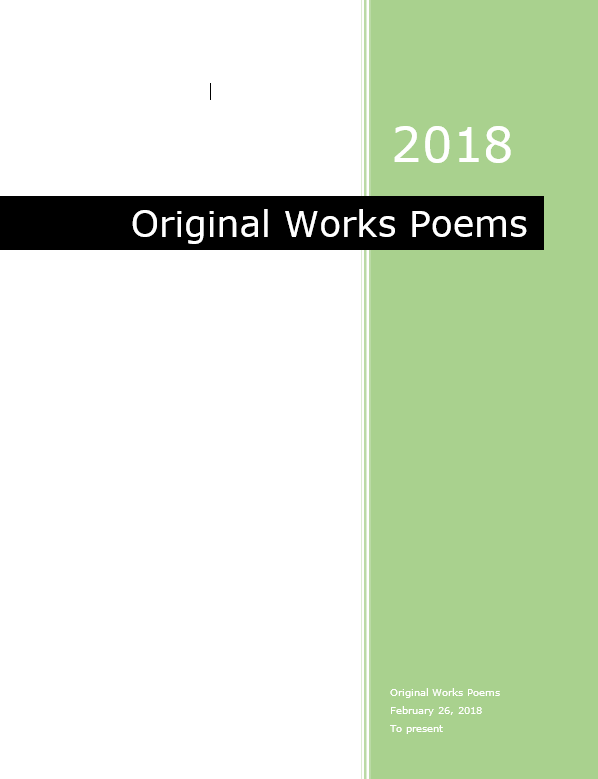 So, below here you can view and or download the complete set of songs, up to the present time, and the complete set of poems, plus the table of contents for each set. Lord willing, periodically I will update these, if he should give me new songs and poems to write. All of these are in the public domain, so you may use them as God directs you, if you wish. I just ask that you give all the glory to God, and not to me, for they are HIS. If you have access to the internet, and you want to listen to any of the songs, you can hear them at Vimeo Song Albums. Albums are created now, in groupings of A-D, E-G, et al. Or, you can view “All videos,” which should be in alphabetical order, depending on the internet device you are using.